There may not be a more appropriately named lawyer in Virginia than DUI and Reckless Driving Speeding lawyer Bob Battle. Bob devotes 100% of his practice to serious traffic defense and criminal litigation in state and federal courts. His aggressive and effective representation of individuals keeps him in court almost every day throughout the Richmond, Virginia area, especially the City of Richmond, Henrico County, Chesterfield County, Hanover County, New Kent County, Caroline County, Sussex County, Dinwiddie County, and Greensville County. As a former prosecutor and a Virginia litigator with over 30 years of experience, Attorney Bob Battle is a skilled, top-rated trial lawyer who will fight hard to protect you against the potential lifelong effects of a criminal conviction. The question is simple- do you want to hire a lawyer who dabbles in DUI and Reckless Driving Speeding or do you want to hire the lawyer who focuses his practice on these offenses “wrote the book” on defending these charges in Virginia? If you are charged in Virginia with the serious criminal traffic offenses of DUI/DWI or Reckless Driving by Speed, you need to make some big, potentially life-changing decisions in a hurry. There is an easy way to cut through all the hype you are bombarded with on TV, the internet, your mailbox, and the Yellow Pages. Before you speak to any lawyer about your case, download Bob Battle’s two consumer guides. Bob Battle separates the myths from the facts and reveals how to get your reckless driving case successfully resolved, in many cases without you ever having to appear in court. If you are charged with DUI, "How to Choose a DUI Lawyer in Virginia" arms you with the 10 questions you must ask to have the best chance of winning your case. Don't hire Bob Battle or ANY lawyer until you get straight answers to these questions. Bob Battle is the only DUI/DWI and Reckless Driving by Speed Lawyer in Virginia to offer a guarantee that could be worth thousands of dollars in free legal representation. Under Virginia law, if you are convicted of reckless driving by speed in the General District Court, you have a right to appeal and get a new trial in the Circuit Court. If you wish to appeal your case for a new trial, Bob Battle will represent you on appeal before a Circuit Court judge for free. If you are charged in Virginia with the serious criminal traffic offenses of DUI/DWI or Reckless Driving Speeding, you have to make some big, potentially life-changing decisions in a hurry. There is an easy way to cut through all the hype you are bombarded with on TV, the internet, your mailbox, and the Yellow Pages. Former prosecutor and top-rated Richmond-area traffic lawyer Bob Battle has written the two consumer guides featured on this page to arm you with the truth and to provide you with the valuable information you need prior to speaking to any lawyer about your case. Probably the most significant choice you will make will be which lawyer you choose to represent your legal rights. You are the client and you must demand that your lawyer tell you: "Who will be representing me in court at my DUI or Reckless Driving Speeding trial?" In a serious case, the lawyer you entrust with your legal fate will quickly become the most influential person in your life, for better or for worse! Virginia is brimming with lawyers who are more interested in making money for themselves than in answering the needs of clients and providing outstanding service and results. Many have a paralegal or associate do all the work in your case. Even more alarming, many firms, even some firms that spend a lot of money advertising online, will feel free to send any of their lawyers to represent you on your court date, often notifying you of this fact for the first time on the night before your trial or without telling you at all! Attorney Bob Battle sees the consequences of incompetent lawyering every day, and knows that even mere competent representation will not suffice. 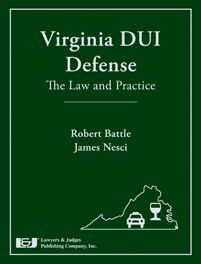 In his controversial book available on this website titled “How to Choose a Virginia DUI Lawyer,” Bob Battle includes a section titled “20 Ways Lawyers Lose Winnable DUI Cases for their Clients." Richmond, Virginia DUI attorney Bob Battle is the author of the popular and informative blog, “Virginia DUI Lawyer” and has written 3 books on DUI: "Virginia DUI Defense: The Law and Practice" with James Nesci, Lawyers and Judges Publishing 2012, “The DUI Book: The Guilt Myth,” and “How to Choose a DUI Lawyer in Virginia.” Bob is also a highly sought out seminar lecturer on all facets of DUI defense: Technical (“Attacking Field Sobriety Testing”); Procedural (“Defending DUI cases in Federal Court”); and Tactical (“Winning Your Trial with Style: Teaching Lawyers the Untaught Art of Persuasion” –soon to be made into a book). A former Fairfax prosecutor and federal law clerk, Bob Battle, has achieved the highest rating a lawyer can receive for Legal Ability and Ethics. What is Bob Battle's background, experience, and reputation in defending DUI and Reckless Speeding Cases? There are two national online lawyer rating services. Bob Battle not only has the highest ratings on both of them, he has perfect ratings on these rating services. Bob Battle was rated Preeminent 5.0 out of 5.0 AV by Martindale-Hubbell, their highest rating for legal ability and ethical standards. 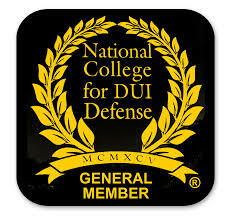 As of the beginning of January 2010, Bob has been rated "Superb 10.0 out of 10" by Avvo.com, setting him apart from other DUI and Reckless Driving lawyers in the Richmond, VA area. Read more about Bob’s “Battle Plan for Successful Reckless Driving/Speeding Defense"
Where were you charged with Reckless Driving Speeding? If you've been charged with reckless driving then you need an experienced Virginia attorney to help you fight the class one misdemeanor charge. The stakes are simply too high to try and fight it by yourself! If you lose, you will face the permanent consequences of a criminal record. This is not the time to take a chance. Bob Battle’s office is located in Henrico County, Virginia, just across the street from the City of Richmond line. In addition to the City of Richmond, Henrico County and adjacent Chesterfield County, many other nearby jurisdictions are notorious speed traps. Click on the county where you were charged to find out how Bob Battle can help you. What are the penalties for a first DUI offense in VA? If you have been charged with your first offense of Virginia DUI, you may face penalties including fines, a driver's license suspension, and time spent in jail. To avoid these penalties, you may be able to fight your Virginia DUI charge. You can learn more about creating a DUI defense against your Virginia DUI charge by consulting with an experienced Virginia DUI defense attorney. What are the penalties for a second Virginia DUI offense? If you have been charged with a second Virginia DUI, then you may face increased penalties including fines, a driver's license suspension and some serious jail time. To know whether you may be able to fight your second Virginia DUI charge, you can consult an experienced Virginia DUI defense attorney. If you have been charged with your third Virginia DUI, then you may face serious penalties including fines, driver's license revocation and jail time. To know whether you may be able to fight your Virginia DUI charge, you can consult an experienced Virginia DUI defense attorney. What is considered Reckless Driving Speeding in Virginia? If you exceed a speed of 80 mph in Virginia, you can be charged with reckless driving. Is it also considered reckless driving to exceed the speed limit by 20 mph or more. Therefore, if you are driving 75 mph in a 55 mph speed zone, then you may be charged with reckless driving. Are sobriety checkpoints legal in Virginia? Sobriety checkpoints are legal in Virginia, however, there are certain rules that police officers must follow when conducting sobriety checkpoints. According to these rules, before a Virginia sobriety checkpoint can be established, the location of the checkpoint must be announced to the general public. If you have questions regarding a Virginia DUI charge that you received at a sobriety checkpoint, you can get the advice of Virginia DUI defense attorney.